Alec Leamas, a British spy is sent to East Germany supposedly to defect, but in fact to sow disinformation. As more plot turns appear, Leamas becomes more convinced that his own people see him as just a cog. His struggle back from dehumanization becomes the final focus of the story. 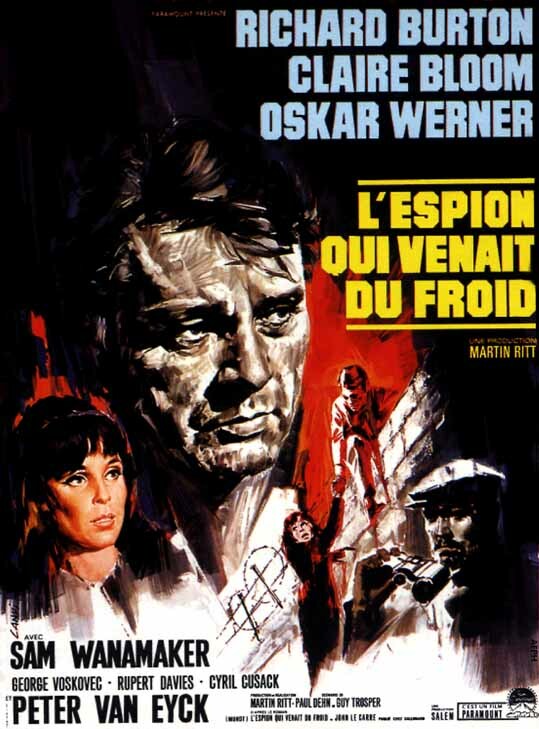 The great Richard Burton performance no one saw... It seems to me as though no one remembers this film. In fact, I think that it would be fair to say that I wouldn't have become intrigued enough by it to finally rent if I hadn't seen just the briefest of clips of it on an ABC news broadcast. When I think about it, I realize why should anyone remember it? This was made during the Golden Age of Bond, which this film acts as a dark mirror to. 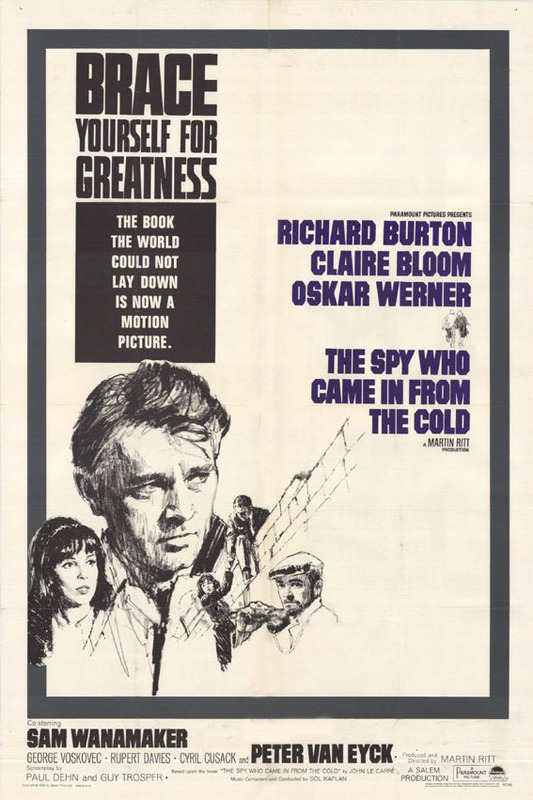 More's the pity, actually, as this was one of Richard Burton's finest performances. Burton is cast as Alex Leamas, a nerve-dead, aged secret operative operating out of West Berlin. After a routine assignment goes awry, Leamas is sent home and out of the service. He struggles to try to live a normal, average life as a librarian's assistant, but he can't make it work for him (something that is not helped by his chronic alcoholism). This fact is made forcefully clear when he winds up beating a local grocer and is sentenced to jail time. Slowly but surely, he allows himself to be pulled back into the Cold War he operated in, not suspecting or maybe not even caring that his superiors are setting him up for a fall. One will never mistake Alex Leamas' grey, rainy world for the sunlight universe of James Bond. It offers what is probably the ugliest depiction of the Great Game on film: drunkards, ex-Nazis, Jews, and die-hard Communists swimming like sharks through a fish pond, all of them devouring any who get in their way. None have any more than lip-service loyalty to their fellow operatives, their countries, or maybe even their own ideologies. At it's center stands Burton, playing Leamas as a walking dead man, festering with hate, resentment, and cynicism at the system that eventually sends him into the gutter. His devastating parked car monologue alone is worth the price of renting this one from the local video store. It's bitter cynic tone may have been the film's undoing, rarely have I seen a film so downbeat in it's depiction of humanity. Still, it is not one that deserves to be forgotten.